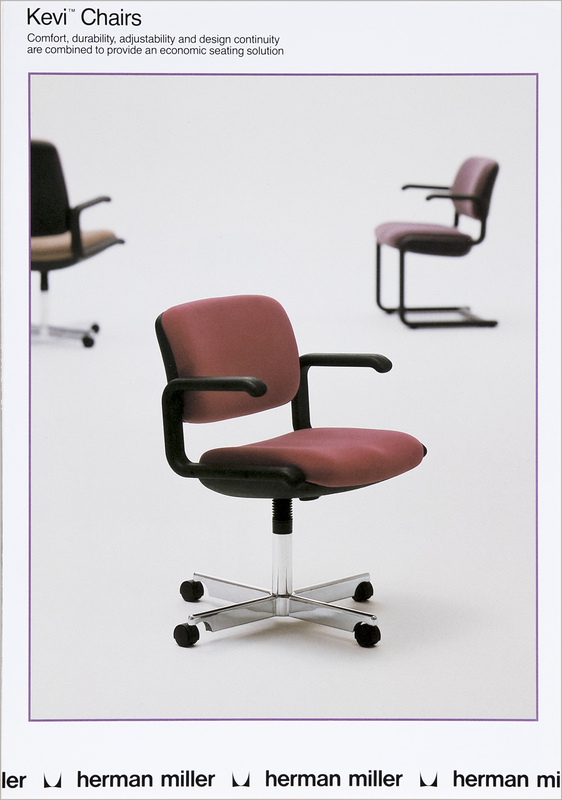 A system of product overview folders was developed for each Herman Miller product line. Each cover/back cover showed an array of products in the line and the Herman Miller wordmark as a band at the bottom. This 12 page accordion folder highlighted additional chair models in photos on one side of the piece and product features and benefits, adjustments, and detail photographs on the other side. Size W 8.25" x H 11.75"
Techniques Offset printing, 4 color process + spot gloss varnish. Scored and accordion folded.